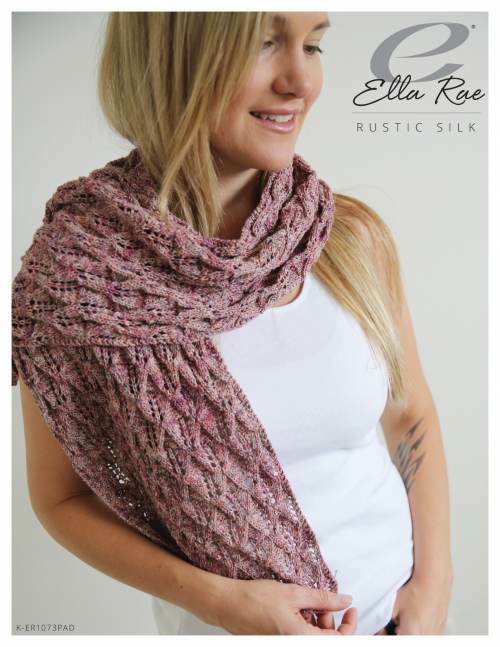 Check out some of the garments & designs found in Rustic Silk - Misty Falls Wrap. Measurements Width approx 30cm (11¾in) Length approx 150cm (59in) Text only. Knit in two halves and seamed in the middle to balance the pattern.